Flipdeck Gaming Cards feature all your favorite characters from the many games created by Flipline Studios. We try to release them weekly, so make sure to follow Flipline Studios on Twitter and Facebook so you know when a new Flipdeck has arrived! You can also now buy printed cards of your favorite Flipdecks! Each pack contains 10 cards featured here, with two bonus Flipverse cards added to the pack. 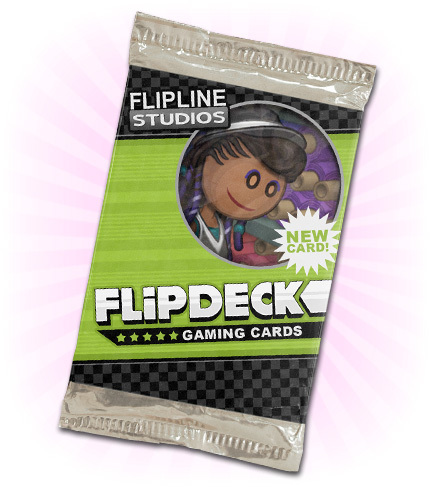 Click here to purchase Flipdeck packs!